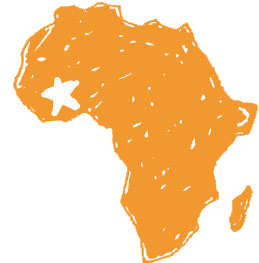 The Global Mamas’ community works together to create a life of prosperity – financial well-being, happiness, and health – for African women and their families. We achieve prosperity by creating and selling handmade products of the highest quality. Founded in 2003 with just six women, we are a non-profit organization that is over 500 strong, selling to nearly 400 stores around the world. Over the past decade in Ghana, we've invested nearly $2 million U.S. in wages alone. 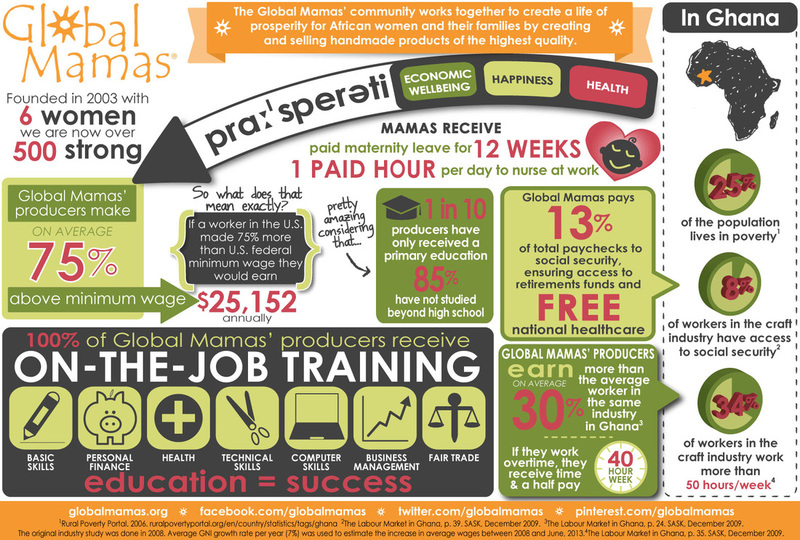 Global Mamas is a registered 501c3 organization based in Minneapolis, Minnesota. In addition to our office in Minneapolis, we have four offices in Ghana in Accra, Ashaiman, Cape Coast, and Odumase Krobo. Learn more about our work by downloading our 2012 annual report here. We believe in the strength of community. We have a long-term commitment to each other and the organization. We are innovators dedicated to quality, creativity, and continuous improvement. We are committed to achieving economic self-sufficiency: as individuals and as an organization. We are part of a global community that creates positive change through the work we do.